Hello folks, COPA Flight 10 is happy to announce our presentation for our monthly Social this next Tuesday. Lisa Bautista will be presenting on CASARA. 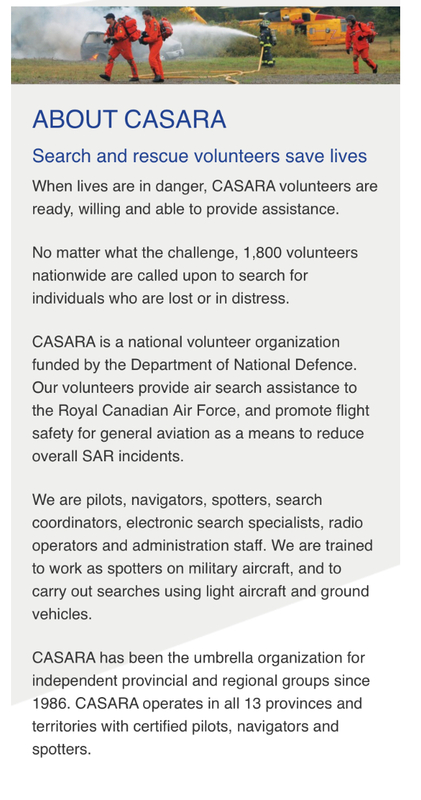 CASARA is a national volunteer organization funded by the Department of National Defence. Volunteers provide air search assistance to the Royal Canadian Air Force, and promote flight safety for general aviation as a means to reduce overall SAR incidents. We will be providing coffee and donuts and meeting at the Aviation Museum at 7pm.